Bulk Mailer address quality tools ensure that you are using the best data for mailing and qualify those mailings for the lowest postage rates. Increased address quality delivers more mail, offers better return on investment and improves overall satisfaction with direct mail. 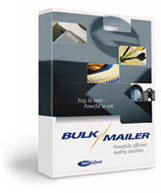 Bulk Mailer products deliver best volume mailing preparation in a stand-alone application. Make your mailing operation much more productive with Bulk Mailer — prepare USPS® compliant mailings faster and more easily. Achieve increased mail deliverability and the lowest postage rates all while avoiding the aggravation of deciphering complex postal regulations. This next generation of the Bulk Mailer series sports a sophisticated new interface and the option to upgrade to a Microsoft® SQL Server database for faster performance with the largest address data files. Bulk Mailer address quality tools ensure that you are using the best data for mailing and qualify those mailings for the lowest postage rates. Increased address quality delivers more mail, offers better return on investment and improves overall satisfaction with direct mail. Bimonthly updates, sent on DVDs and available for download, provide the latest USPS address management files. Standardize abbreviations and address formats to USPS guidelines, correct the spelling of streets and cities and verify deliverability, includes DPV®, LACSLink® and SuiteLink™ processing. Add missing postal data including nine-digit ZIP® codes, eLOT® and carrier route numbers, delivery points and more; then generate USPS Form 3553. Use our built-in Move Update service to process lists against the full 48-monthNCOALink®Link data set in real-time. There’s no manual import/export and no messy data merge. The only change-of-address method that updates address lists BEFORE the mail is printed and sent,NCOALink®Link processing meets USPS Move Update requirements for First-Class Mail® and Standard Mail® discounts. The included Duplication Search wizard offers multiple search options and field combinations for precise results. Upgrade to Merge/Purge to combine, compare and eliminate duplicates from disparate list types. Process lists against a suppression list to meet Do-Not-Mail requirements. Work with a wide variety of address files without hassle. List Views present addresses in a spreadsheet for quick review. Spot anomalies and validate the results of group criteria. Update, split or combine fields in all active records. Cut, copy and paste groups of records — even to and from Microsoft Excel. 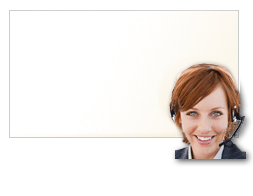 Detail Views offer organized access to data fields in an address-card format. Easily add, validate and update individual records. Easily limit a mailing to a subset of your list. Define criteria and sort options for a more targeted mailing. Sort address lists for the lowest possible postal rates and generate all required USPS documentation, reports and postage statements. The Mail Sort wizard makes presorting easy for everyone from the novice to the seasoned expert. Take full advantage of your address printer — Bulk Mailer provides built-in support for model specific features. Address printing features include barcoding, an optional endorsement line, compressed fields and an intelligent address block. It also includes support for fonts, images — for example, your logo — grids, package spacers and more. Our custom drivers eliminate the need to manually program your printer. Printer specific controls include DPI, belt speed, page size and more. Print directly to popular models including Astrojet, Bryce, Hasler, Neopost, RENA, Secap and others, or output a print file when needed. Available with Bulk Mailer Professional and Business, Job Builder allows you to increase productivity by combining a series of template-based tasks into a complete mailing job. Be more productive with Job Builder. Built for the highest-volume mailers, Bulk Mailer Business offers advanced capabilities that offer faster performance with large address files and support team-based processes. Expand the capabilities of Bulk Mailer as your business grows. Add-ons enable Bulk Mailer to meet the most demanding mailing requirements. * Satori Software receives weeklyNCOALink®Link updates. Take your contact data quality beyond address correction with Satori Software list enhancement and suppression services. Better data quality helps you achieve the best results from your mailings and marketing campaigns. Now you can supplement your CRM database with additional consumer or business data tailored to your goals. 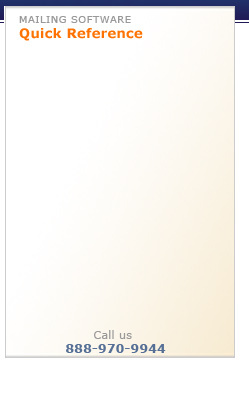 The following options represent only a partial view of the wide array of available data. Updates addresses using sources other than the USPS® NCOALink® data set, including magazine subscriptions, catalog houses, insurance and credit companies. Identify up to 20% more moves up to 5 years old. Appends residential unit numbers based on the submitted name and address. Complements SuiteLink® processing, which appends unit numbers for business addresses, to further reduce undeliverable and misdirected mail. Flags records that match entries in do-notmail,deceased person and correctional facility lists. Manually review results or remove records automatically. 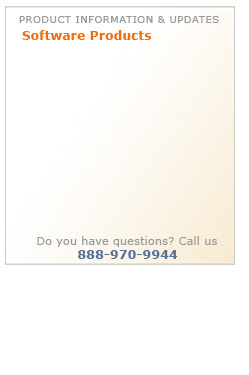 Improve mailing ROI by removing people that are unwilling or unable to respond. Replaces names with the head-of household and appends the gender on record for that person. Perfect for address lists without names, and for geographically targeted mailings.